Word on the Streep: Alexandre Desplat to score "Little Women"
Alexandre Desplat to score "Little Women"
Two-time Academy Award-winning composer Alexandre Desplat has been tapped to write the musical score to Greta Gerwig's upcoming remake of Little Women. The Frenchman gave a recent interview to an Italian news outlet and apparently stated that this film is one of a few he has in the pipeline. 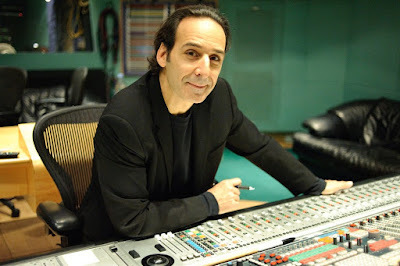 Desplat won Academy Awards for The Shape of Water and The Grand Budapest Hotel. Among his other credits include The Queen, The Curious Case of Benjamin Button, The King's Speech, the final two Harry Potter films, Argo and Zero Dark Thirty. Great to hear that Little Women will have such a distinguished artist attached for the music! The film is set for release on Christmas Day. New footage of Meryl in "Big Little Lies"
Shoulda Coulda Wouldas #15: "Feud"